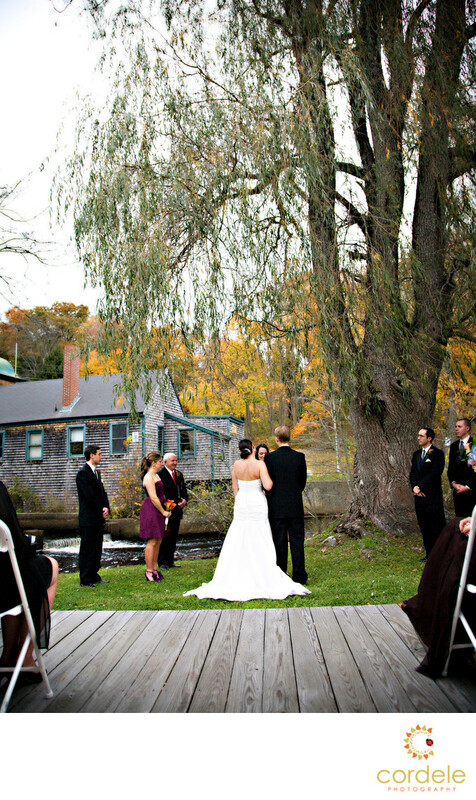 I have shot at the Jones River Trading Company before but have never been lucky enough to do an outdoor ceremony! On this fall day the rain held off just long enough to get the ceremony done and the bride and grooms portraits. It's a good thing I can make amazing photos in short time at a wedding! Location: 42 Elm St, Kingston, MA 02364.